Infused White Coffee Chunk ice cream topped with hot fudge, homemade Espresso Bark, and whipped cream. The warm weather is coming! 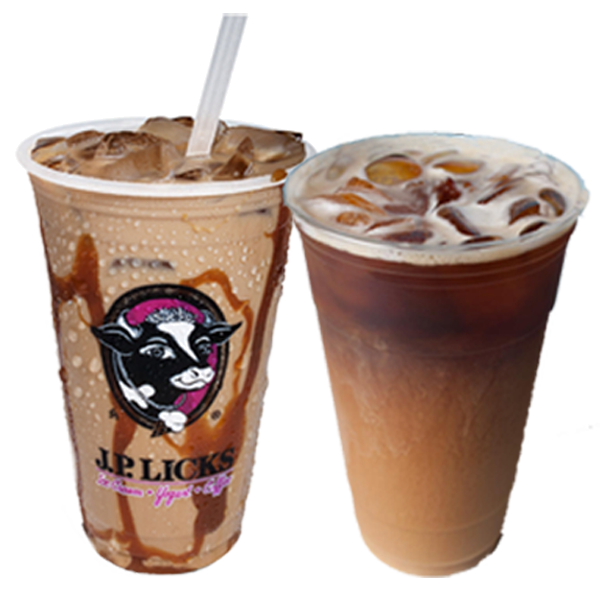 We have a full menu of iced coffee and espresso drinks. Our dairy-free coconut base blended with rich cocoa powder. 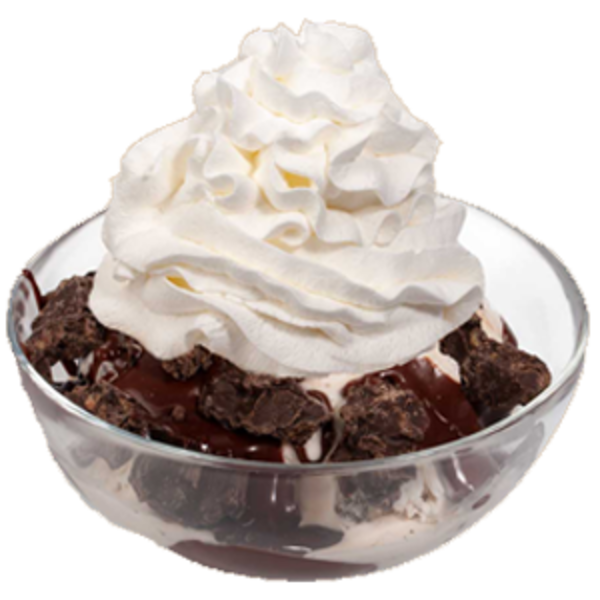 Our homemade chocolate ice cream loaded with chunks of brownie dough, and big, soft chocolate chips. Everyone’s favorite Cookies ‘n’ Cream ice cream, filled with chocolate chip cookie dough chunks. Tons of fresh bananas are cut by hand and added along with walnut chunks and chocolate chips. 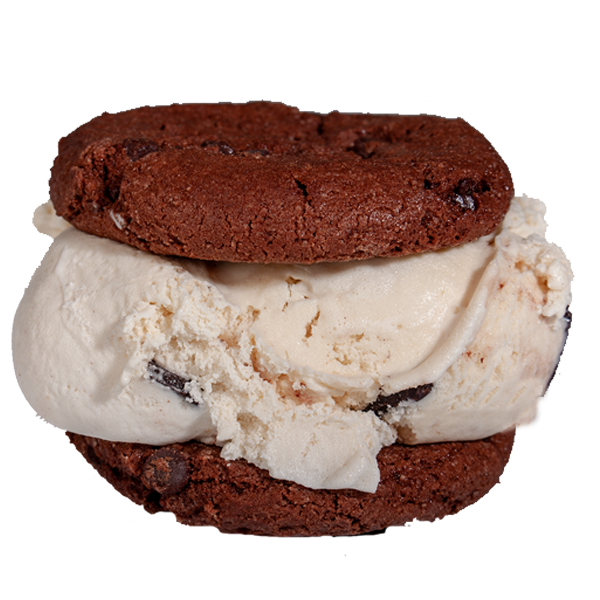 Ice cream is cold brew infused with our home-roasted coffee beans for an intense coffee flavor without bitterness and acidity, and mixed with big, soft chocolate chips. Coffee hard yogurt with almonds. Fresh lemon juice and hibiscus flowers make a tart and lightly sweet sorbet. Black Raspberry puree in our dairy free soy base.